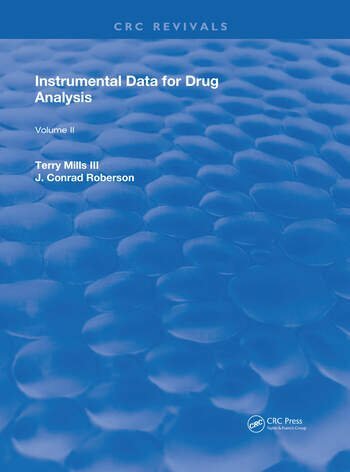 Compiled with the most sophisticated chromatographic and spectrometric instruments available, this complete and self-contained seven-volume reference provides forensic, toxicology, and clinical laboratories with up-to-date information on 1,600 drugs and drug-related compounds-one of the largest collections of analytical data generated from a single source. Instrumental Data for Drug Analysis contains timely, quality data presented in a large, easily usable format. It is an essential reference in the libraries of all toxicology, analytical chemistry, and forensic specialists and laboratories.